Today I want to share with you something that has become a new fascination of mine: the combination of healing sounds with energy healing. I have long enjoyed music and found it soothing and of course I make it a practice to play music during my Reiki sessions. I also love to chant and I have observed for years the healing effect that chanting has on my mind and body. The sounds of singing bowls, gongs, and drumming have only recently become something I had very much contact with, and the effects of these tools have been remarkable, though each one is different. When I first began to practice Reiki, I almost exclusively practiced distantly, on people and animals. My sessions were always very intuitively guided, so each session was specific to that client. Often I was guided to chant a specific mantra during a session, or even to simply allow a sound to resonate from my throat. I never thought twice about doing this, I simply followed my guidance. 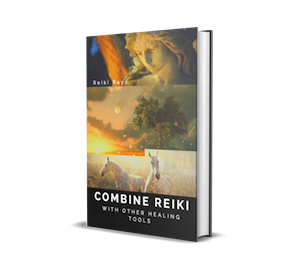 I felt protected and felt the sound and the Reiki working with each other to move blockages and bring harmony back to the client’s system. At that time, my clients were often animals with severe pain issues, high anxiety, or cancer. Very good results were reported, so I know the guidance Reiki gave me was right on target, as always. Once I began to do more sessions in person, I stopped using sound, even if I felt guided to use it. I was afraid it would seem too weird for my clients and might scare them away. I was afraid of being embarrassed, as well, if truth be told. In order to fill the gap, I bought music that uses drumming, wooden flute, crystal bowls and other sound healing. My intention was for Reiki to work through me and through the sound on these recordings, as well. I use my intuition to choose the correct tracks for each client. This last year, sound healing keeps coming back up for me. I have attended three group sessions over the months that either relied exclusively on sound or made use of sound as part of a healing. Each was different, but each was amazing. The first was a shamanic healing journey that used drumming through the entire session to guide the journeyers. This session dramatically opened my understanding of myself and my life path. It was deeply spiritually healing. The second was a gong bath. This was deeply physically and emotionally healing. The third was a sound bowl healing. This session was able to shift blocks, helping me to integrate new and release old patterns that were still stuck. At times, it was uncomfortable, unlike the others, which felt very pleasant and interesting throughout. I have no doubt that, like any healing or chanting session, each time will be different and that it is different for each person. Recently I have come across the Reiki kotodamas. While I don’t know very much about these yet, I have learned that these are chant sounds that carry the spirit energy of the Reiki symbols. As we learn with the Reiki symbols, and with Reiki itself, all things carry energy. Sound is an energy that is very powerful. This is one of the reasons we must be selective with our choices when we speak—the energy of our words influences us, others and the world around us. It is said that the Universe was created through sound. Some believe that sound is so powerful that it is the underlying energy that influences our state of harmony, health and well-being on all levels. Thinking of experiments I have seen that use sound vibrations, music or even words, I must accept that sound has a major influence on our state of being. Plants, animals and people all respond favorably to harmonious sound and seem to struggle and suffer in the presence of disharmony, especially if it is prolonged. Chinese medicine, in the form of qigong, uses sounds with movement as part of its healing practice. Tribal nations all over the world have long recognized the uses of drumming and the playing of other instruments, as well as chanting and singing to assist in healing and shifting energy. The idea of using sound in conjunction with healing or to promote a feeling of well-being is not a new one, though it may seem strange to some of us to think of it in a healing session. I will be exploring this further and opening my mind to it. While it may not be for everyone, it feels wonderful to me and it may for many others, too!